Sakkahama Shore of Lake Inawashiro becomes crowded with people for lake bathing. Then, in winter, swan becomes the leading part! 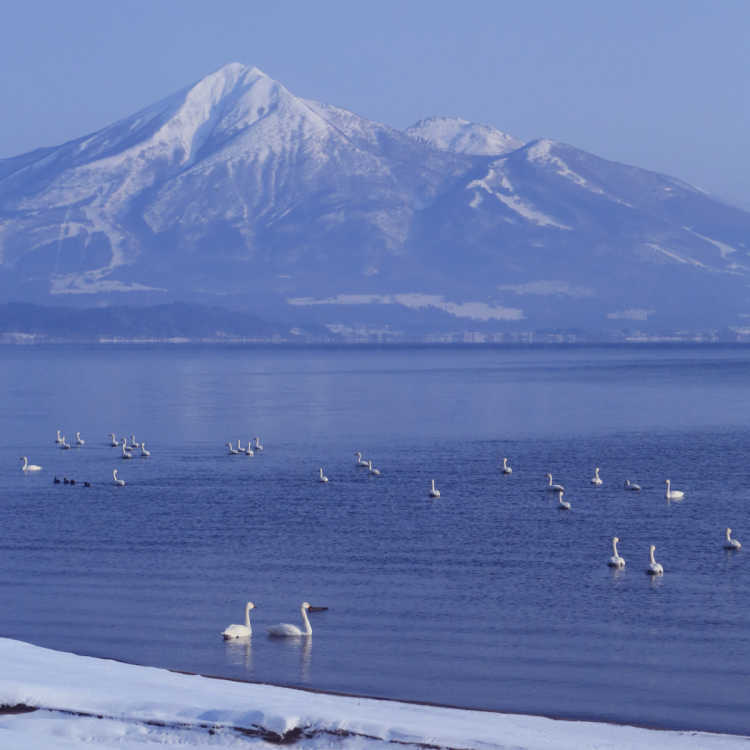 What's more, if it's sunny, you can see the snow covered Mount Bandai over the Lake Inawashiro.◎You need cars to go here. In the case of icy road or snow, you need winter tires.